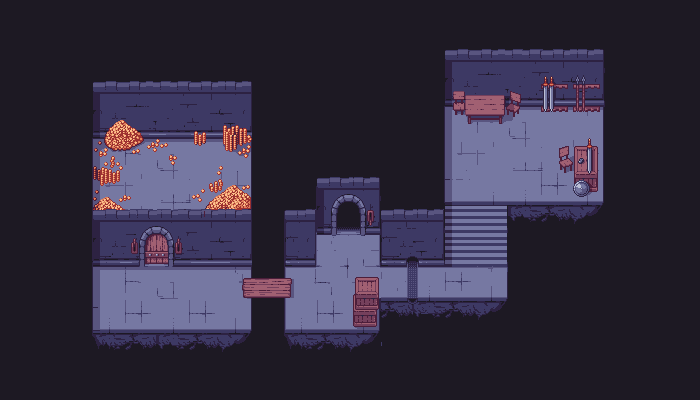 I did a mockup of some sort of treasure room or something like that and decided to make a simple tileset out of it. I really like the staircase. Simple but it works! Great job, exacltly what i was looking for *-*. As for your second question, unfortunally right now I'm not available for any commissioned work. As far as I'm interested, once aquired my assets are yours to do anything you want(aside from reselling or redistributing it).